Desi Smith Photo. 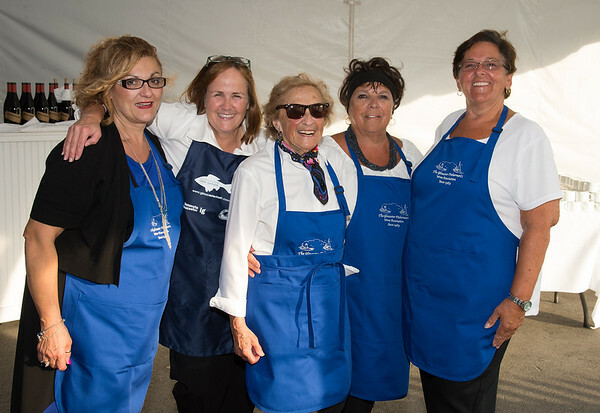 Just some of the volunteers from the Gloucester Fishermen's Wives Association that helped out to serve during the "Sea to Supper" community dinner to benefit the Gloucester Fishermen's Wives Association,that was held on August 25,2016 at the Waterfront Pavilion Tent at Mile Marker One Restaurant and Bar. From left to right are, Maria Cannavo, Marcia O’Brien, Selma Bell, Kathleen Santuccio and Karen Cunhathe all from Gloucester.